Email: "If you are late with the transaction, the bomb will explode." Ransomware that demands cryptocurrency payments in exchange for releasing infected computers is an old phenomenon. Now that practice has a dark new twist. 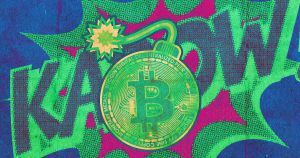 This week, scammers have started emailing bomb threats to hundreds of schools, hospitals, businesses and other public and private institutions in multiple countries, demanding bitcoin payments in exchange for not setting off seemingly made-up explosives. The threats caused mayhem. Entire blocks were shut down in several cities — a dark testament to the power of online anonymity. Emergency responders were dispatched in multiple cities across North America to investigate the threats — including a dozen threats in DC alone. Not a single bomb has been found at press time, leading authorities to believe the threats were an elaborate bluff. The advice from the U.S. government: tell the FBI, and do not pay the ransom of $20,000 U.S. in Bitcoin. The cryptic emails demanded that victims send the payment to a bitcoin address. The value of Bitcoin took a substantial hit in the wake of the bomb threats. That’s bad news, since Bitcoin was already slouching. Bitcoin Cash also fell 13 percent, and many other major cryptocurrencies followed. The takeaway: advocates have long predicted that blockchain technology is about to go mainstream, but to date the technology hasn’t strayed far from its early roots in crime and drug sales. Only time will tell whether the tech will eventually shed that identity.